A Turkish-style solution for Egypt? The military shepherds transition to democracy? What next for Egypt? Last night was a huge letdown, today’s a high. 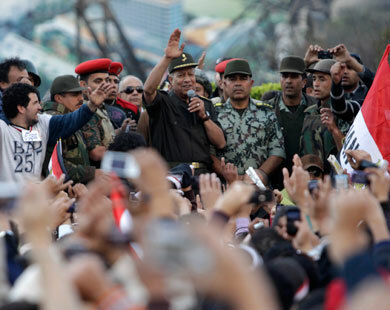 Up to now the crowds have been united–they all wanted Mubarak to go. Now comes the divisions. Turkey offers a promising model, in which a popular military takes over and shepherds the country to a civilian democracy. This ARTICLE from the Turkish paper, Hurriyet, lays out the promise and the pitfalls. This entry was posted on February 11, 2011 at 10:24 am and is filed under Ethics-general, Government, International, military, Politics. You can follow any responses to this entry through the RSS 2.0 feed. You can leave a response, or trackback from your own site.